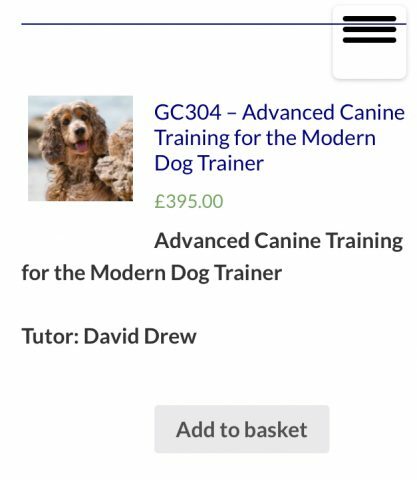 David has designed three sound courses for people interested in becoming a dog trainer for the Guild of Dog Trainers, the courses take students through the journey of realising the dream of setting up and instructing classes. 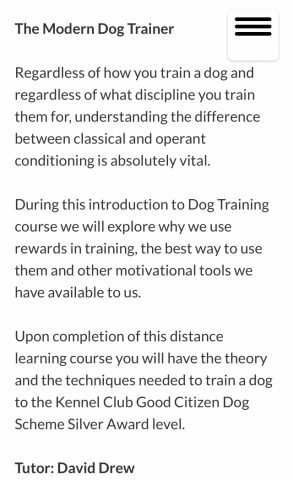 The online courses allow students the flexibility to study from anywhere in the country, they start with teaching how dogs learn and the difference between classical and operant conditioning. Ideal to back up practical experience with good solid theory. Some of the topics covered in ‘An introduction to Professional Dog Training Methods’ include: Why we train dogs, How dogs learn, Classical and Operant conditioning, Different types of rewards, Dogs and the law, Expectations on dogs, Rescue dogs, Signs of stress and anxiety, Setting up training classes, How to teach the basic positions, Training equipment, Roles within the dog training industry, Common training problems, Loose lead walking and recall, Jumping up. The Intermediate Canine Training for the Modern Dog Trainer progresses the student to the next level covering subjects such as: Class or 1-2-1 training, Teaching life skills in class, Teaching the ‘stay’, Dealing with reactive dogs in class, Teaching the ‘leave it’, Teaching the ‘A-recall’, Teaching classes inside and outside, Teaching the ‘send to bed’, Teaching the ‘emergency stop’, Impulse control, Specialist classes, When to refer a dog to a behaviourist. The third course is Advanced Canine Training for the Modern Dog Trainer, this course explains the many options dog owners have when they reach a good standard of obedience, for example completion of their Gold level Kennel Club Good Citizen Scheme, often owners feel their training is complete and class retention rates fall. 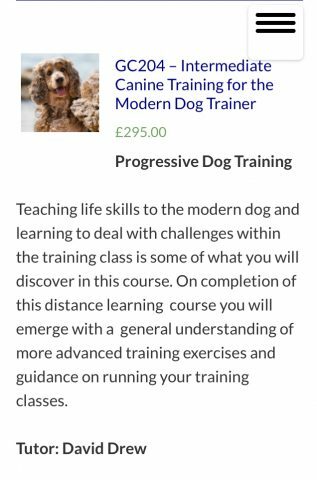 By studying this course the student is informed of areas available to keep owners and their dogs interested in continuing to train. 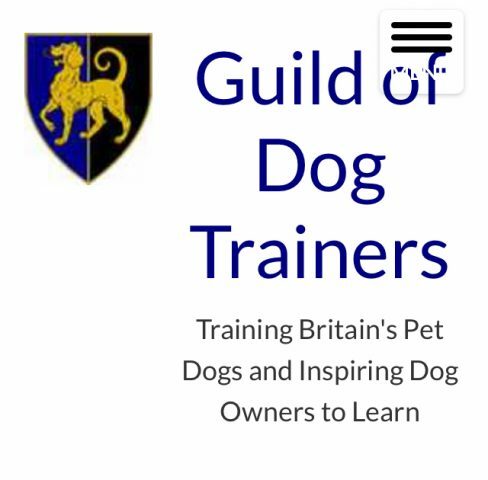 Subjects covered are: Tracking & nose work, Distance controls, Send away and redirection, Retrieve, Off lead heel work, Speak on command, Agility, Flyball, Dash and splash, Canicross, Working trials, Heel work to music, Rally, Gundog. Exploring the various competition disciplines and dog sports allows the modern dog trainer to be open minded and inspirational to their clients.